Formulated for daily use on all skin types. Ideal for: Rejuvenate cells and improve moisture retention. Visibly improves the appearance of fine lines, skin tone, texture and clarity over time. 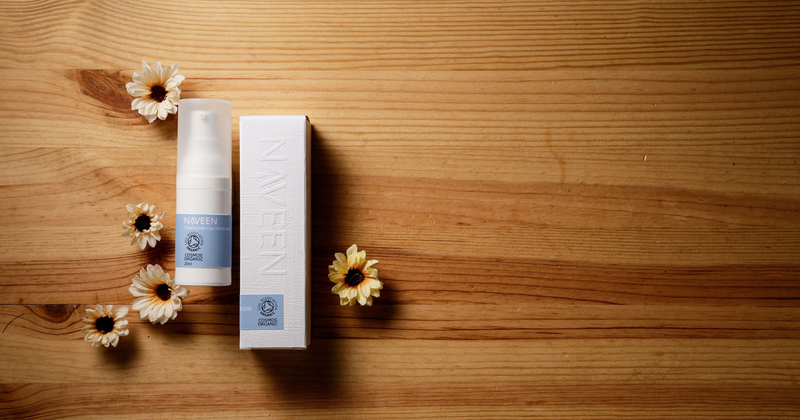 Chamomile Eye Moisturizing helps to reduce puffiness, dark under-eye circles or fine lines. 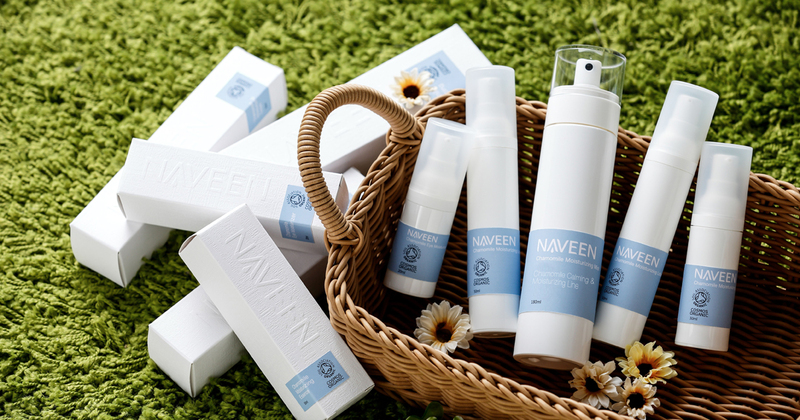 Give tired looking eyes a pick me up with NAVEEN Chamomile Eye Moisturizer. Its fine combination of Certified Organic Macadamia Nut Oil, Jojoba Oil and Olive Oil make this product readily absorbed by the skin. Penetrating deep into the skin to revive damaged cells and improve moisture retention without greasing. Contains Potent Chlorella Vulgaris Extract to effectively diminish the appearance of under eye dark circles and puffiness, leaving the eye contour smoother and firmer. Significantly improving the look of tired and dull eyes and you’ll be pleased at how the eye area is illuminated. Bringing back the sparkle in your eyes! 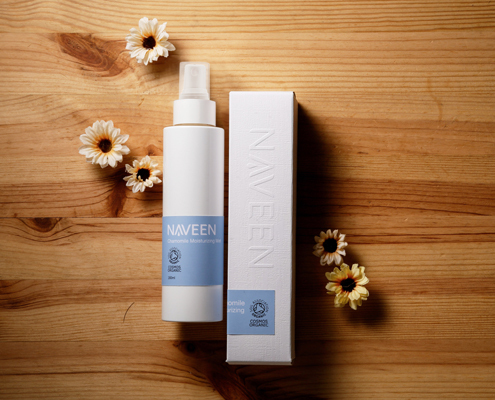 Certified Organic Macadamia Nut Oil – Non-greasy oil leaves the skin smooth and soft, a priceless delight for the skin. This emollient oil spreads easily on the skin and contains monounsaturated fatty acids, and closely resembles sebum (the oil naturally produced by one’s skin to help protect it). Helps to firm and smooth skin around the eye. Certified Organic Chamomile Flower Oil – Best known for its ability to calm and ease with a fruity floral aroma. Chamomile possess gentle, healing and anti-inflammatory properties. Potent Chlorella Vulgaris Extract – Chlorophyll is nature’s detoxifier, and as such, Chlorella is considered a potent super food. 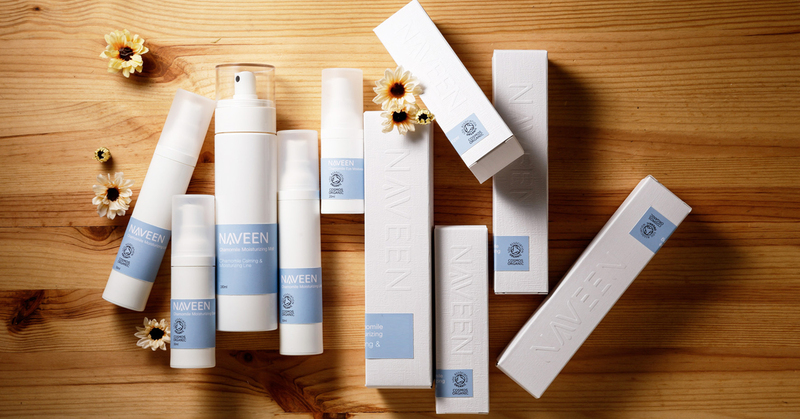 Topical use of this seaweed species has proven to act against wrinkles and protects skin from harmful environmental aggressors. This is due to its incredible ability to stimulate collagen synthesis thereby supporting tissue regeneration and wrinkle reduction. Chlorella Vulgaris Extract’s wonderful attributes have some statistically significant impacts on human skin, giving us the opportunity to take our skin care formulas further into naturally sourced yet clinically proven levels of efficacy.